A last-minute trip to accompany students to a European Space Agency satellite workshop held at ESTEC last week served the added purpose of a surprise family reunion. 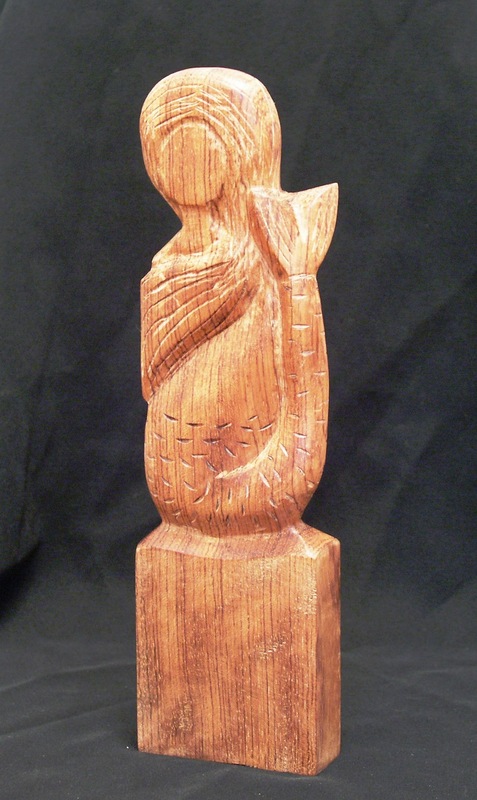 Not wanting to arrive empty-handed, I went to my workshop and liberated the above mermaid from a 25 cm long piece of bubinga, making sure to carve the hair in the style of the recipient’s own. Successfully surprised, my sister is now the owner of the bubinga maid and we all share the memories of the whole family live get-together. thanks bro, she ‘s looking at me now and feeling fine 🙂 you made the party by showing up by surprise! Above or below sea level – you’re a talented bunch! That is so lovely. Lucky sister!